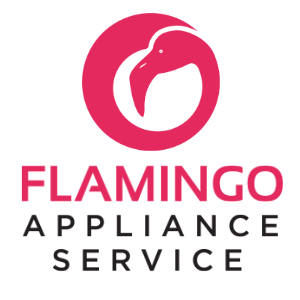 Appliance Repair Boynton Beach FL | Flamingo Appliance Service Florida and Georgia Appliance Repair servicing washers, dryers, dishwashers, ranges, microwaves, freezers, and refrigerators. Miguel was very knowledgeable and figured out what was causing the program issues with our new dishwasher! Excellent service. Very polite and knowledgable service. technician didn't test washer after assuming washer was fixed the first time. took way too long for ordered parts to come in and dented dryer top climbing out from behind washer, which hasn't been replaced yet. Great rep hopefully this time the fix holds . Called to tell when he was en route. Did the job quickly and told us about keeping the water filter working well. Really knowledgeable about how the appliances are designed to work. We understand better how to get maximum benefit from them. Repair work is not yet complete. 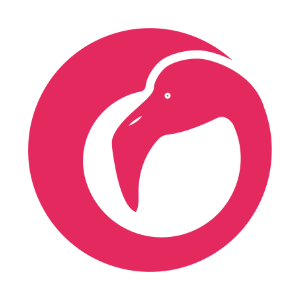 Intuitive investigating by Jerome Solved the problem. Others would have given up. He listened to the homeowner. Ended up replacing the main brain of the washer and that solved the problem. Great job Jerome! MAKING A DIFFICULT DAY BETTER! REFRIGERATOR KITCHENAID KBFS20ECMS00 Installed ice maker. Unit working as designed. WASHER MAYTAG MVWX655DW1 "installed new drain pump. tested, unit checks all ok.. job completed." REFRIGERATOR KITCHENAID KSSC42QMS01 "replaced units ice door , dispenser arm and reservoir. after repair i tested operations and all checked out good." DISHWASHER KITCHENAID KUDP01FLSS0 installed new door gasket. unit checks all ok. job completed. REFRIGERATOR WHIRLPOOL WRF560SEYM04 replaced units housing for the filter. after repair i tested units operations and all checked out good. customer had an issue with payin because i finished so quickly. i lowered the labor to instead Of and customer was much happier with the price. WASHER WHIRLPOOL WTW5000DW1 "wjp6000fpl1cc panel defective tc replaced panel and tested,unit checks all ok. job completed." REFRIGERATOR KITCHENAID KRFC300ESS01 "installed new door gasket and tested, unit checks all ok. job completed." DISHWASHER KITCHENAID KDTE204ESS4 "cc unit not operating tc found lower filters not locking and stopping the unit from washing. locked filters into plate and tested, unit checks all ok. job completed." REFRIGERATOR WHIRLPOOL ED2KHAXVS01 Unit was over filling drip tray. Found Customer is using an off brand generic filter that is causing the leaks in unit. Removed excessive water from tray. Advised customer to use recommended filter for unit. Unit working as designed. WASHER MAYTAG MVWB755DW0 Installed control board and u/i. Unit working as designed. DRYER WHIRLPOOL WED4850HW0 cc unit not drying tc found unit is operating to spec. informed customer of proper use and care. unit checks all ok. job completed. WASHER WHIRLPOOL WDT730PAHZ0 cc unit not completing cycles tc found the unit was plugged into a surge protector and did not have adequate voltage suplly. informed customer of proper electrical requirements. unit otherwise checks all ok. job completed. REFRIGERATOR KITCHENAID KBSD602ESS01 "cc unit UI not working tc replaced UI and tested, unit checks all ok. job completed." REFRIGERATOR WHIRLPOOL WRS965CIAM01 cc unit leaking tc defrosted drain and set pan correctly. job completed. DISHWASHER WHIRLPOOL WDF520PADW7 Unit not drying items. Found no rinse aid in unit to aid in drying. Added rinse aid and tested. Unit working as designed. REFRIGERATOR MAYTAG MSS25C4MGW "installed new cover, screw and diffuser. unit checks all ok. job completed." DISHWASHER WHIRLPOOL WDT730PAHZ0 cc unit door not closing properly. tc found door not aligning to close properly. resteate the hinges properly and door now sealing and closing properly. job colmpleted. DRYER WHIRLPOOL WED5000DW2 Unit was taking long to dry. Found clogged vent hole on outside of home. Removed clogg. Unit now circulating air as designed. REFRIGERATOR WHIRLPOOL WRF555SDFZ08 cc unit too cold tc power cycled unit and reset temps for customer. unit saving temps normally. job completed. N/A N/A MFT2976AEM00 "cc unit leaking tc replaced water reservoir and tested, unit checks all ok. job completed." DISHWASHER KITCHENAID KDPE234GPS0 "cc dw door not closing properly tc found door not sealing properly, reseated upper tray in tracks andn aligned clips to clear door. unit now sealing normally and closing properly. job completed." WASHER MAYTAG MVWB955FC1 "cc lid defective tc replaced lid assembly and tested, unit checks all ok. job completed." OVEN WHIRLPOOL WOS51EC0HS00 "cc unit not heating tc installed new thermostat and tested, unit checks all ok. job completed." WASHER MAYTAG WETLV27HW0 found that unit was overloaded causing unit to walk. i instructed customer on the proper load size for this unit as well as the proper use and care for her unit. i went into service diagnostics and found that the only error code was the overload error. tested operations and all checked out good. RANGE WHIRLPOOL AER5330BAS0 installed new harness. block was needed. part being returned. OVEN- DOUBLE WHIRLPOOL GBD307PDQ3 cc unit light not working tc unit will require new lens and housing. both parts are now discontinued. REFRIGERATOR WHIRLPOOL WRF555SDFZ01 found that ice bin had clumpped ice inside causing unit to not dispense ice. i removed the ice clumps and tested operations after and all checked okay. i advised customer that the ice bin needs to be emptied from time to time. also found that units freezer had an ice build up due to the door being left open. i removed the ice build up and then ensured that gaskets were sealing to the cabinet. all checked out good. DRYER WHIRLPOOL WED4616FW0 found that units timer had a lose connection causing unit to not turn on. i refastned the connection and tested units operations after the repair and all checked out good. RANGE KITCHENAID KCGS956ESS02 installed new caps and burner heads. unit checks all ok. job completed. WASHER MAYTAG MVWX655DW1 cc unit door not actuating tc found customer not setting down lid correctly. informed customer of proper use and care. unit checks all ok. job completed. REFRIGERATOR MAYTAG MFI2269VEM10 found that units ice maker was not working properly becasue the ice maker had a bad connection causing unit to work on and off. i refastened the terminal for the ice maker harness. then i tested units operations and all checked out good. REFRIGERATOR WHIRLPOOL WRT348FMES00 cc unit leaking tc found the line was not fully seated in the valve. unit checks all ok. job completed. DISHWASHER AMANA ADB1400AGW1 installed new dispenser and control. unit checks all ok. job completed. DRYER WHIRLPOOL WED4616FW0 found that unit had a clogged vent causing unit to not heat properly. i did remove the restriction for the customer since it was right outside. i also instructed customer on the proper use ans care for her unit as well as the importance of having a clear vent to allow airflow to remove any mositure in the dryeer from the clothes. i tested units operations and all meets design requirements. RANGE - ELECTRIC WHIRLPOOL WFE515S0ES1 "cc unit door noisy tc replaced broken hinge and tested, unit checks all ok. job completed."